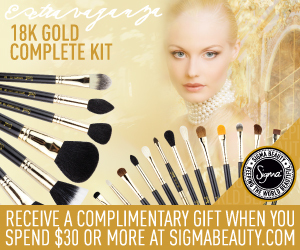 The Sigma Beauty Extravaganza Collection is a lavish assortment of hand-crafted brushes with 18K gold plated ferrules. The Extravaganza Complete Kit features twenty-nine of our best-selling brushes and comes in a deluxe carrying case, perfect for traveling and storage. Everything you need for a luxurious makeup application! Eye Liner - E05 Creates a precise, firm and even stroke to line the eyes. Synthetic bristles. Small Eye Liner - E10 Delivers a small and defined line along the lash line. The length and density of the bristles are ideal for creating artistic designs. Synthetic bristles. Flat Definer - E15 Ideal to line the eyes for instant definition. Can be used for powder, liquid or cream products. Synthetic bristles. Short Shader - E20 Perfect for precise application of colors on the lid and smudging along the lash line. Natural bristles. Blending - E25 Blends and softens the look of powder or cream shadows. Ideal to apply eye shadow on the crease and blend harsh lines. Natural bristles. Pencil - E30 For precise application of color on the crease, outer corner, upper and lower lash line. Natural bristles. Tapered Blending - E35 Ideally used to apply and blend color to the crease area and to soften harsh edges. Natural bristles. Tapered Blending - E40 Specially designed to apply and blend color on the crease. Natural bristles. Small Tapered Blending - E45 This versatile brush can be used to precisely apply and blend intense colors on the crease area. Natural bristles. Large Fluff - E50 Ideal for applying and blending eye shadow on the lids and for highlighting the cheek bone. Natural bristles. Eye Shading - E55 Evenly applies pressed or loose eye shadows and pigments on the lid. Natural bristles. 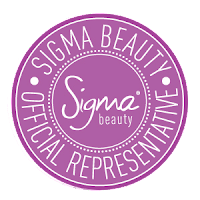 Large Shader - E60 Creates a smooth application of cream formulas and eye shadow primers. Natural bristles. Small Angle - E65 Essential for the application of gel or cream eyeliner on the upper and lower lash line. Also ideal for filling in the brows. Synthetic bristles. Medium Angled Shading - E70 Applies highlighter on the brow bone and on the inner corners of eye. Natural bristles. Small Contour - F05 Ideal to apply and blend contour shades on the cheeks. Natural bristles. Powder/Blush - F10 Delivers a precise application of blush and powder products. Natural bristles. Duo Fibre Powder/Blush - F15 Evenly applies highly pigmented and mineralized powders such as blush or highlighter. Blend of synthetic and natural bristles. Large Powder - F20 Provides a precise application of powder products on face and body. Natural bristles. Tapered Face - F25 Essential for applying and blending face powder, blush and highlighter. Natural bristles. Large Powder - F30 Perfect for flawless, even blending of powder products on face and body. Natural bristles. Tapered Highlighter - F35 Perfect for application of highlight and contour powder to the cheekbone. Natural bristles. Large Angled Contour - F40 Best for application of blush, bronzer and contouring powder. Natural bristles. Duo Fibre - F50 Specially designed to generate an airbrushed finish when used to apply liquid foundation, blush and highlighter. Blend of synthetic and natural bristles. Small Duo Fibre - F55 Made for lightweight application and blending of liquid, cream or powder products. Blend of synthetic and natural bristles. Foundation - F60 Perfect to apply liquid or cream foundation. Can also be used to conceal large areas. Synthetic bristles. Large Concealer - F65 Designed for application of cream and liquid-based products to large areas of the face. Synthetic bristles. Concealer - F70 Ideal to conceal small defined areas of the face using cream and liquid products. Synthetic bristles. Concealer - F75 Allows for precise application of cream and liquid products to conceal the under eye area. Synthetic bristles. Lip - L05 Made to deliver precise application of lip products. Synthetic bristles.